The unveiling of Google’s (s goog) third Android flagship phone is expected to take place at next week’s CTIA trade event, but leaked specifications were reported on Thursday. The Boy Genius Report notes that the Google Nexus Prime made by Samsung will be a Verizon (s vz) exclusive in the U.S. and will showcase a large, high-resolution touchscreen display with curved glass. Google typically partners with a hardware manufacturer to design the Nexus phone as a cutting-edge device or reference design; it did so first with the Nexus One and later the Nexus S. The Nexus line illustrates the platform’s potential for other phone makers and often receives Android updates prior to other phones. As a result, the reported hardware specifications generally seem plausible to me, although it seems odd that Samsung would use a Texas Instruments chip to power the phone. Although we haven’t seen a phone with this high of a screen resolution, the highlight of the phone may not be hardware. Google intends to unify its phone and tablet platforms with a new version of Android, called Ice Cream Sandwich. That will allow developers to build apps for both Android tablets and smartphones while also bringing similar user interface features between the two device types. 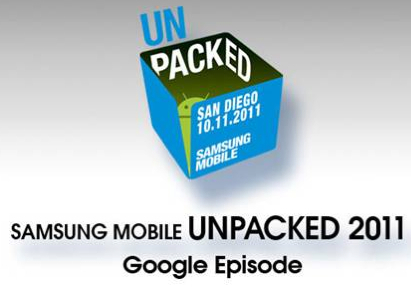 Samsung is holding a launch event on Oct. 11, saying “something BIG is coming.” Given that Google planned to introduced its new version of Android around this time, it’s likely the launch will include both the new Nexus and the Ice Cream Sandwich software. 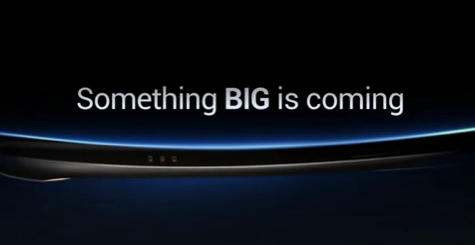 There’s also the outside chance of a new Samsung tablet, but I suspect the next Nexus will be in the spotlight. And if these specifications pan out, it appears that the Nexus Prime is the reason why Verizon(s vz) opted not to carry Samsung’s Galaxy S II smartphone, which lacked LTE support. My nexus prime was delivered last Friday and OMG, can’t believe ATT,Verizon, etc., along with the device manufacturers screw Android up so bad. This Unlocked phone comes with pure android from Google and this is just amazing… People Keep comparing Android that is f’ed up by the carrier and the device manufacturer and sure enuf Apple still fairs better. Comparing this unlocked phone with 4S, Apple looks backward… stealing stuff from others but calls others thief… It is worth paying every penny (74000, of those!) i paid to get this.. Doubt it will be out until around December. Specs looks nice though. I work for a mobile platform provider, Kony, and I do think weâ€™re going to see an explosion of location-based coupons, especially now that Apple has added the Reminder functionality. Itâ€™ll be especially interesting to see if more retailers leverage mobile couponing this holiday season to drive in-store purchases. Itâ€™s important to note though that location-based coupons are only one very small part of what companies can do when it comes to merchandising efforts that involve push notifications. Some other alerts that businesses can consider integrating into mobile offerings include loyalty rewards or product information, and businesses can also provide coupons that arenâ€™t associated with location â€“ for example, they might be coordinated with a particular user profile or time (i.e. birthday, holiday season, anniversary etc.) and delivered to that customerâ€™s native application. There are a lot of additional options companies have when it comes to location-based services and mobile couponing, and it will be exciting to see which other programs gain popularity over the coming holiday season. The specs match the Samsung Galaxy S II HD LTE, which was already announced in Korea on September 26. The only difference I can see at first glance is the CPU speed: 1.2 GHz vs. 1.5 GHz. Screen resolution is a big difference, I wonder what is powering it. Right now the 4s has the lead on screen resolution quality + GPU power to back it up. The screen rez on the Galaxy is lackluster but okay GPU power, not nearly as powerful as 4s which will allow more powerful games on the 4s. “The screen rez on the Galaxy is lackluster” Huh? I’m talking about the Galaxy S II HD, which has a 4.65-inch Super AMOLED HD screen with 1280 x 720 resolution. I’m just hoping that this new OS will help build more apps for Android users. It’s one of the things that keep iPhones ahead of the pack. Does anyone know much these are supposed to sell for? I’m hoping for $199 but would be willing to bet it comes out at $299. Verizon’s LTE phones have generally launched in the $249 to $299 range (but came down in price later) so if this a VZ exclusive, I’m thinking the same price range with contract. Kevin, considering Apple has priced its 4S based on the the amount of built in storage it has, it sounds like the Galaxy Nexus will be priced toe-to-toe with the 4S (since the 32 GB 4S is $299 and you suspect the same from the 32 GB Galaxy Nexus). If they sell it at $249 that could be a big selling point this holiday season. Valid point, John. Then again, most Android phones debut at one price and then see price cuts of $50, $100 or more, making them cheaper than the iPhone. I’m not sure it makes that much difference in terms of sales, but that would be interesting to analyze! According to Texas Instruments website the OMAP 4460 is clocked at 1.5 GHz. Could be underclocked for battery possibly. Between LTE the bigger screen and the 1.5ghz processor it’s possible, but unlikely imo. BGR, reported, the new iPhone would be a Sprint, exclusive. Wrong. So, who knows. It seems odd a Nexus phone would be locked to one carrier. Not very Google? It’s feeling like Christmas, in October. I was really hoping for an 8MP camera. Hmmm…. Jack, depending on the sensor and lens solution, 5 MP might be good enough. Photos taken with the iPhone 4, for example, are often better than images from phones with 8 MP sensors. Of course, we always want the best hardware, but if done right, 5 MP will meet most needs I think. We’ll see next week for sure! Yes 5Mp vs 8Mp has no impact on quality, its all about the quality of the sensor. I was hoping for OMAP4470, but everything else is cutting edge.